It appeared a perfectly normal weekend day on Sunday, 5th June 1966. The Delhi summer was at its height and in all probability, the person who felt it more than most was Prime Minister Indira Gandhi. A momentous decision was to be announced the following day and she was doubtless aware of the fact that it was bound to have serious repercussions. Nonetheless, there was no option but to go ahead. Unknown to her, Mrs. Gandhi was to unleash forces which would have a long lasting effect on her own self, her party as well as her country. 1965-66 was, without doubt, India’s annus horribilis. The agricultural crisis of the 60s had reached a flashpoint with a devastating drought in 1965, soon followed by an unexpected war against Pakistan which further strained an already desperate economic situation. While the population had grown rapidly from 439 Million in 1961 to around 500 Million by 1966, the economy had sputtered along at 3.2%. Not surprisingly, inflation had reached a whopping 11% by 1965. Elsewhere, a balance of payments crisis had been steadily building up. Between 1950-51 and 1965-66, India’s exports had grown 20% even as imports had shot up by 131%. By 1965, India’s trade deficit had reached a perilous 930 crores at a time when foreign exchange reserves were limited. To support India in its hour of need, the World Bank’s Aid to India Consortium (AIC) had committed $1 Billion in aid for 1962 and 1963, followed by $3 Billion each year from 1964 to 1966. By 1965, the situation had become so dire that the AIC had appointed a commission under American economist Bernard Bell to make its recommendations for salvaging the situation. The report recommended, among other things, devaluation of the Indian currency. The Indian Rupee in that era was still pegged to the Pound Sterling at a fixed rate of Rs. 13.33/ Pound. It was, as a matter of fact, the currency used in the entire Gulf region. From 1959 onwards, the Government of India had introduced the Gulf Rupee, for exclusive circulation outside India. From Beirut in West Asia to Hong Kong in the far east, the Indian Rupee was officially or unofficially a commonly accepted tender. All of that was soon set to change. Economists across the world (including many in India) were widely of the opinion that the Indian Rupee was grossly overvalued, which meant that buyers of goods exported from India had to pay more than the goods were actually worth, while imports were cheap. The over-valuation made Indian exports non-competitive in the international market, while at the same time encouraging imports. With a balance of payments crisis, the most logical solution was to devalue the currency. Unfortunately, the value of the currency was ignorantly equated with national pride (as it still is to some extent). A decision to devalue it, while economically sound, could prove politically disastrous. Such political considerations meant little to the World Bank, which suspended all financial assistance in 1965, until the Indian currency was devalued to reflect its true worth. Prime Minister Shastri, a pragmatic man if ever there was one, decided to take the plunge towards the end of the year. To this end, he ‘eased out’ his intransigent Finance Minister T.T. Krishnamachari and replaced him with the pliable Sachindra Chaudhari. The stage was set for far reaching economic reforms. Unfortunately, there came an unexpected development at this stage. Shastri’s untimely death in January 1966 saw the relatively inexperienced Indira Gandhi come to power. Confronted by the economic crisis, Mrs. Gandhi made a trip to Washington in April to try and find a way out. After a chastening visit to the USA and consultations with economists and policymakers in the country, she finally bowed to the inevitable. On Monday, 6th June, Indira Gandhi announced the decision to devalue the Indian Rupee to her bemused cabinet of ministers. So fearful had she been of political repercussions, that discussions on the subject had been held in strict secrecy, so much so that her ministers were taken completely off guard. Despite the element of surprise (or possibly because of it) the cabinet accepted the ultimatum with the sole exception of Manubhai Shah, then Minister for Foreign Trade. And so at 9:30 P.M on 6th June 1966, Finance Minister Sachindra Chaudhari announced the decision to devalue the Indian Rupee by a staggering 36.5%. By virtue of the conversion rate between the Pound Sterling and the US Dollar, the value of the Indian currency plummeted from Rs. 4.76/$ to Rs. 7.50/$ overnight. The Syndicate, which was the real power behind the throne, was blissfully unaware of the developments in New Delhi. And so at this late hour, Indira Gandhi got in touch with the powerful party president K Kamaraj. Whether the non-communication was a deliberate ploy to forestall any opposition, or simply an oversight on Mrs. Gandhi’s part is anybody’s guess. Kamaraj’s reaction proved far worse than anything the Prime Minister could have possibly foreseen. Shaken up by his hostile response, she contemplated postponing the decision. Unfortunately, she soon discovered that the matter was out of her hands, as the International Monetary Fund had already been notified by Chief Economic Adviser I.G. Patel. For the better or the worse, the die was cast. Kamaraj was referring to his own mistake in making her the Prime Minister, a point on which many Congress MPs concurred with him. Nonetheless, he discouraged those who wanted Indira Gandhi to be removed. The party would have to contest elections in a few months time and without the colossal presence of Nehru, it could ill-afford a divided house. And so Indira Gandhi lived to fight another day. I.G. Patel turned down the offer to be appointed as Finance Minister twenty-five years later (when the Indian economy, coincidentally, faced a similar crisis), paving the way for Dr. Manmohan Singh to champion the economic reforms of 1991. Mrs. Gandhi split the party in 1969. Her faction, which would be recognised by the election commission as legitimate successor to the old Congress party, enjoyed power at the centre for all but twelve years in the period between 1971 and 2014. Chinnasami was perhaps the first, but not the last to lay down his life for his mother tongue in that turbulent period, whose repercussions are felt to this day. With independence in sight, the British government formed the Constituent Assembly of India to frame a new constitution for India in 1946. The first meeting of the assembly was to be on 9th December. After much debate, the assembly arrived at a compromise. Articles 120 and 346 of the constitution, read together, provided for the use of Hindi and English for transacting business in the parliament as well as between the parliament and the states. Article 120(2) provided for the omission of English after 15 years from the date on which the constitution would come into force- which would be 26th January 1965. With remarkable foresight, Dr. Ambedkar and his team added the words “unless parliament by law otherwise provides” in the text of Article 120(2), providing an escape clause if need be. The compromise ensured the passing of the constitution, but the language issue had only been differed, not resolved. It was only going to be a matter of time before it would come back to haunt the country. Tamil is an ancient language which, unlike the vast majority of Indian languages, does not trace its ancestry to Sanskrit. The language has a script, vocabulary and syntax that’s vastly different from nearly all other Indian languages. Besides, Tamil speakers have a literature and history very different from most of the country, as most political developments that affected the rest of India never affected that region. Not surprisingly, Hindi was hardly understood, much less spoken in the then Madras presidency. To expect that a people proud of their language and culture would accept an unknown language as their official language was at best unrealistic. The founding fathers should have known from personal experience how troublesome the language issue was going to be- the imposition of Hindi had led to anti-Hindi agitations in the Madras Presidency in the late 30s. To give effect to the provisions of the constitution, the Government of India passed the Official Languages Act, 1963. Read together, Sections 2 and 3 of the act provided that English may continue to be used in addition to Hindi for all official purposes. The ambiguous wording of the act left scope for interpretation. As anyone familiar with legal language would know, the word ‘may’ can be interpreted to mean that the provision of law can be optional or mandatory (unlike the word ‘shall’, which leaves no scope for ambiguity). The most sensible thing to do, given popular sentiment, was to preserve the status quo. Unfortunately, the leaders in Delhi decided not to exercise the option given by the Official Languages Act. With effect from 26th January 1965, all state legislatures would be bound to use Hindi exclusively as their official language. In 1949, a breakaway faction of the Dravida Kazhagam (Dravidian association/ movement) under the leadership of C.N. 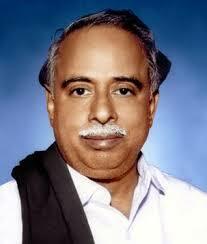 Annadurai had formed a new party named Dravida Munnetra Kazhagam (association for the progress of the dravida people) or DMK as it still is popularly known. Through the 1950s, it remained no more than a fringe presence in the political landscape in Tamil Nadu. If we had to accept the principle of numerical superiority while selecting our national bird, the choice would have fallen not on the peacock but on the common crow. In the 1962 state legislative assembly elections the party had won 50 seats in the then 206 seat assembly, with a vote share of 27.1%- a huge jump from its performance in the previous elections. By the early 60s, DMK was second only to the all powerful Congress party in the Madras Presidency, with a huge following across the state. The party called for a day of mourning on 26th January 1965 in protest against the expiry of constitutional protection for English. The demand was emphatically rejected by the Congress government. On 24th January, the DMK announced that it would defy the government ban on demonstrations on Republic Day. The state was set for a conflict between the Congress government in the state and the rising star in the political landscape. Congress offices in the city of Madurai were stoned and Congress workers beaten by mobs of irate students. Hindi books were burnt in Madras. The government acted swiftly, arresting Annadurai and over hundred other DMK leaders, effectively depriving the party of its head. But the students were not finished yet. 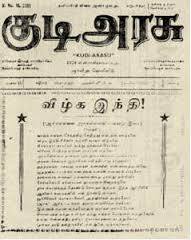 A student movement called “Tamilnad Anti-Hindi Agitation Council’ had come into existence, manned by students who feared that exclusive use of Hindi would effectively shut them out of the civil services. This largely apolitical body (almost completely independent of the DMK) took the fight forward. On 27th January, the police raided hostels in a number of colleges in Madras and arrested student leaders. It was alleged that a number of students were indiscriminately beaten. Whether true or not, the rumours only served further inflame public opinion. By second week of February, the movement had ceased to be a mere student agitation, spreading across the state. Trains were being stopped by protesting mobs and there were lathi charges in multiple locations. on 10th February, 24 people were killed in police firing, while two police sub-inspectors were burnt alive by irate mobs. As we saw in the previous article, Indira Gandhi became the third prime minister of India in January 1966 following the untimely passing away of Lal Bahadur Shastri. Unfortunately for Mrs. Gandhi, 1966 was perhaps the worst time to become prime minister. The wars of 1962 and 1965 had drained the treasury. A series of droughts in the mid 60s had left the country on the verge of starvation. But for the grudging support of the Americans during that period, India would have suffered a devastating famine reminiscent of British times. Coming on top of that was a balance of payments crisis which forced a devaluation of the currency (more on that some other day). The Lok Sabha elections to be held in February 1967 was to be the first election since independence without the colossal presence of Nehru. After 20 years of independence, there was a whole generation of young voters which had no recollection of the colonial era, for which freedom was a given. With rising unemployment and massive food shortages, the Congress was fighting the double handicap of (what we would call today) anti incumbency and the absence of Nehru. After the initial euphoria of taking over the mantle from Shastri, Indira Gandhi found herself increasingly besieged. The decision to devalue the Rupee had not gone down well with the syndicate, especially the big boss Kamaraj, who virtually declared war on her. The rift between the new prime minister and the party bosses led to an outcome few could have thought possible at the time: the coming together of Morarji Desai and the syndicate. Much as they disliked each other, their distrust of Mrs. Gandhi was strong enough to bring them together. With the passive complicity of the syndicate, Morarji Desai’s cohorts started openly pulling down the prime minister on the floor of the parliament. As the 1967 elections approached, the syndicate actively set out undermine Indira Gandhi. Many of her supporters were denied party tickets. The ones who could not be kept out were allocated paltry amounts by the syndicate, which had a stranglehold over the party’s finances. To get around the limitations forced upon her, Indira Gandhi adopted the strategy of appealing directly to the people of the country over the heads of her party bosses. Her strategy of raking up day to day issues affecting the common man and the prestige of her father meant that her rallies attracted thousands of enthsuastic supporters wherever she went. In three Lok Sabha election since independence, the Congress had never won less than 361 seats in the then 494 member Lok Sabha- a crushing majority- despite the fact that it had never won a clear majority of the votes (for the record, no party since independence has won the majority of the votes in any national election). The combination of a fragmented opposition, Nehru’s towering presence and the first past the post system had given the party a virtual monopoly over power. However, by 1967, several regional players had emerged on the stage who were too insignificant to challenge the Congress individually. After two decades on the wrong side of the fence, they joined hands with the sole objective of blocking the Congress (a recurring trend over the decade that would follow). 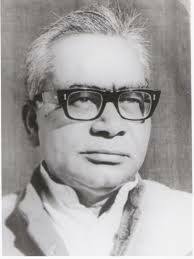 Led by Ram Manohar Lohia, the formidable Gandhian freedom fighter turned politician, the opposition parties set up a seat sharing agreement whereby Congress candidates in most constituencies faced very few opponents- a de-fragmentation of the opposition space if you may. The arrangements made, the opponents waited with baited breath as the Month of February entered its final week (elections were held from 17th to 21st February 1967). As expected after two decades of unchallenged rule, the Congress vote share shrunk, going down from 45% in 1962 to 41%. However, given the first past the post system and the seat sharing agreement between the opposition parties, the results were disastrous. The Congress won the elections- as expected- but its seat share fell by a jaw dropping 78 seats. From 361 seats in the 494 member Lok Sabha in 1962, it had plummeted to 283 out of (now) 520. At this distance in time, 283 out of 520 may appear a comfortable majority, but it was a slim majority for a party that had never held less than 70% of the seats in the Lok Sabha. Besides, the war between Indira Gandhi and the syndicate plus Desai meant that even the clear majority was no guarantee of stability. The state elections, which coincided with national elections until 1967 (the era of unstable state governments was just beginning in the late 60s), gave the party an even bigger jolt. The Congress was ousted from power in nearly all northern states, leading to the famous jibe that one could travel from Calcutta to Amritsar without passing through a single inch of Congress governed territory. The era of Congress hegemony was over. …and so it seemed, until their foe turned friend Morarji Desai- the very reason why the syndicate had come into existence in 1964- unwittingly threw a lifeline. Twice denied by the syndicate, he insisted on a vote in the Congress parliamentary party to decide who would become prime minister. After a disastrous election, the last thing the party needed was a fresh round of blood letting with unpredictable consequences. Many senior leaders, some of whom were supporters of Desai, ruled out the possibility. Quick to sense the opportunity, the syndicate brokered a truce, ruling that Indira Gandhi would continue as Prime Minister, with Morarji Desai as Deputy Prime Minister. The Congress lost power in Tamil Nadu to a regional outfit called Dravida Munnetra Kazhagam (DMK). That party and a its breakaway faction- the AIADMK- have ruled Tamil Nadu ever since. The Congress regained West Bengal in 1971, holding on to power until it was all but wiped out in 1977. As in the case of Tamil Nadu, the party never again regained power in the state. India awoke on Tuesday, 11th January 1966 to a shocking news. 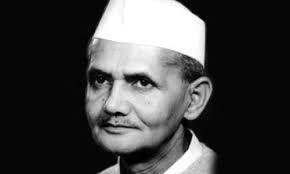 Prime Minister Lal Bahadur Shastri was dead. Gulzarilal Nanda, who had played caretaker following the death of Nehru in 1964, had been sworn in as acting prime minister yet again. It was barely 19 months since Shastri had succeeded Nehru after a series of behind the scenes machinations that we recounted in the previous article. Whereas Nehru’s deteriorating health had given the syndicate ample time to plan the succession, the untimely and wholly unexpected passing away of Shastri caught everyone off guard. The actors in the succession drama of 1964 sprung into action yet again. Having been thwarted 19 months ago, Morarji Desai now saw a golden opportunity to realise his long cherished dream. This time his opponents were unprepared and there was simply no Congress leader whose stature even remotely approached his. Besides, at 70, Desai was not getting any younger. Expectedly, the aged Gandhian left no doubt that he intended to stake his claim to the prime ministership. 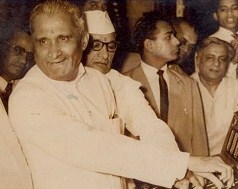 To forestall a repeat of 1964, Desai insisted on a free and confidential vote by the Congress parliamentary party. With no obvious reason to deny it, the syndicate accepted the suggestion with the rider that the issue would be voted on by the Congress Grand Council, consisting of all members of parliament plus the state chief ministers- a point Desai could hardly refuse. At this stage, an unexpected entrant threw his hat into the ring. Second time bridesmaid Gulzarilal Nanda lost no time in meeting I & B Minister Indira Gandhi to ask her if she would like to be prime minister. Mrs. Gandhi told him that she had no such ambitions- for the time being at least, she had no intention to make public her ambitions (Shastri had effectively sidelined her- so much so, that she had been contemplating quitting her post and living for a few years at least, in the UK where both her sons were in university). Sensing an opening, Gulzarilal Nanda asked her if she would support his candidature. 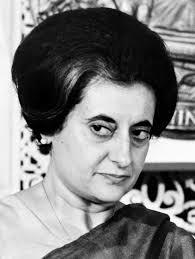 Mrs. Gandhi prudently replied that she would not stand in his way if Nanda could get support from the others. Wrongly interpreting it as an offer of unconditional support, Nanda approached Kamaraj asking to be named prime minister on a permanent basis until the forthcoming general elections in 1967. As a rider, he added that Mrs. Gandhi was the only candidate who would have his support. 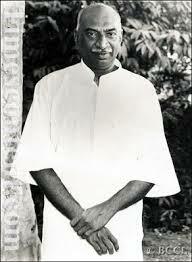 Characteristically, Kamaraj heard him out without committing himself to any course of action. He would have to go to Delhi and consult with fellow syndicate members before taking any decision. With elections just a year away and the party facing the prospect of its first elections without the towering presence of Nehru, Kamaraj figured that Indira Gandhi was the best bet until the elections. She enjoyed the prestige of being the great man’s daughter, quite apart from the fact that she was not associated with any particular region- giving her the benefit of universal acceptability. With no serious challengers to Desai in the horizon, she was the only alternate to the finance minister. To be sure, there was an element of risk therein- Mrs. Gandhi was already an experienced politician with a well established political base. Either Kamaraj underestimated her, being a woman (Ram Manohar Lohia would famously call her ‘gungi gudiya‘- dumb doll), or else figured that with all party organisations firmly under the control of the syndicate, they could easily keep her in check. However, Kamaraj found that she was a far from unanimous choice. Atulya Ghosh and S.K. Patil were both opposed to the proposal, insisting instead, that the Madras strongman take over the mantle. 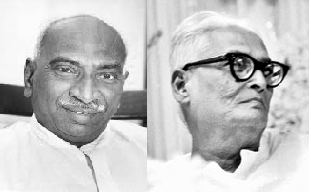 Kamaraj, who only spoke Tamil pithily replied “No Hindi, No English, how?” In response Ghosh and Patil insisted that under the circumstances, Nanda should be named the prime minister until the 1967 elections. Yet another factor now entered the equation: a unanimous declaration by Congress MPs from the Hindi speaking states that they were not going to allow the prime ministerial seat to go out of their region, effectively shutting Desai and Kamaraj out of the race. 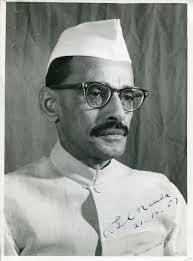 Gulzarilal Nanda did not have the stature to garner adequate support. In effect, that left only candidate in the fray. By now Indira Gandhi was surely aware of the fact that she was one of the favourites in the race to succeed Shastri. Nonetheless, she played her cards carefully, declaring that she would act on the advice of the party president and that she would prefer unanimity in the party ranks. As it happened, that unanimity was far from forthcoming. The grand council meeting on Friday, 14th January witnessed a series of heated debates which ultimately proved fruitless. The only decision taken that day was to defer any decision until the 19th. In the event, behind the scenes manoeuvres settled the issue well before that date. The following morning, D.P. Mishra (then Chief Minister of Madhya Pradesh) called a meeting of chief ministers from 8 states: the Hindi speaking states (UP, Bihar, Madhya Pradesh) and the five electorally important states under the control of the syndicate (Maharashtra, West Bengal, Tamil Nadu, Mysore and Andhra Pradesh). The chief ministers of the Hindi speaking states were firmly in support of Mrs. Gandhi. This naturally clinched the issue for the syndicate, which was hitherto divided. Completely outnumbered by the big 8 (which collectively accounted for more than 66% of the total strength of the then 494 member Lok Sabha), CMs from other states naturally opted to jump into the bandwagon rather than be left alone. As if in a trice, the vexed issue of succession had been resolved. The country, unaware of the machinations behind the scenes, awaited with bated breath as the Congress Grand Council went to vote on Wednesday, 19th January 1965. Note: it had been erroneously stated earlier that the total strength of the Lok Sabha was 520 in 1962. It was actually 494, increased to 520 in 1967 and 543 in 1977 (unchanged since then). The error has been corrected. In October 1963, four prominent Congress leaders came together at the Tirupati temple: Kumarasami Kamaraj, the former Chief Minister of Tamil Nadu and then Congress party president, Siddavanahalli Nijalingappa, then Chief Minister of Mysore (as Karnataka was known until 1973), Neelam Sanjiva Reddy of Andhra Pradesh and Atulya Ghosh of West Bengal. The foursome (soon to be joined by Sadashiv Patil of Maharashtra) were important regional leaders who were individually of little consequence outside their respective states. Collectively however, they could wield tremendous clout, controlling as they did, party cells in the most (electorally) important states outside the Hindi speaking region. The foursome who came together at Tirupati had something beyond mere pilgrimage in their minds. There was one single factor unifying them: the health of the prime minister. The machinations they set in force that day would have repercussions far bigger than they could have possibly foreseen. This is the first part in a series of articles dedicated to the era between the end of the Nehruvian era and the era of Indira Gandhi. In 1964, Pandit Jawaharlal Nehru was serving his fourth term as Prime Minister of India. In 17 years since independence, the Prime Minister had not changed. Everything else had. The euphoria of independence was long forgotten, so was the idealism and the optimism of the Nehruvian era. Nehru the man was still around, but the era he once personified was long gone. The humiliation in the 1962 war against China and an agrarian crisis had plunged the country into despondency. The country was on the brink of starvation, unemployment was high and economic conditions gave little room for optimism. Nehru’s condition mirrored that of his country. His spirit broken after the debacle of 1962, Panditji was an old man in failing health. By the end of 1963, the state of his health left no doubt that the end was imminent. The Congress party, which had been virtually unchallenged since independence and still did not have a serious contender in the horizon, now faced a serious crisis. The arrogance and hubris inevitable after nearly two decades of nearly unchallenged rule had destroyed the sheen that the party of Gandhi and Nehru once enjoyed. If the Congress still enjoyed a virtual monopoly over power, it was due in no small measure to the stature of Panditji. It was but natural that Congress leaders were apprehensive about life without him. 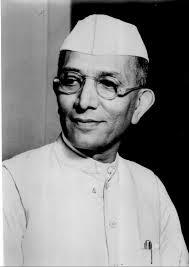 The heir apparent to the Prime Ministerial was finance minister Morarji Desai. A veteran of the freedom struggle, Desai had been a part of the Congress right since the 1920s. 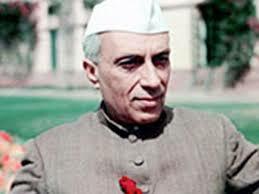 Not only was he one of the most senior Congress leaders, he had also held a number of key positions in the government including the vital finance portfolio. In the impending battle for succession, he was bound to be one of the frontrunners. But support for Desai was far from unanimous. His abrasive, take no prisoners approach had alienated several leaders. Besides, there also was the very real fear of loss of autonomy. Whereas Nehru normally took regional leaders on board while taking major decisions, there was nothing in Desai’s track record to suggest a capacity for taking others along. Regional satraps, long used to a high degree of autonomy, had reason to fear and loathe Morarji Desai who made no secret of his prime ministerial ambitions. Consequently, it was imperative to plan for the day Panditji would be gone. That was the reason why the regional satraps met in October 1963. The foursome of Kamaraj, Reddy, Nijalingappa and Ghosh (soon to be joined by S.K. Patil, the ‘uncrowned king of Bombay’), would form a clique that would come to be dubbed as ‘the syndicate’. To understand how that clique came into existence, its essential to describe the condition of the Congress party at the time. The states of Uttar Pradesh and Bihar, which sent nearly one fourth of the MPs to the then 520 member Lok Sabha, were naturally the most important states. Any would be successor’s ambitions depended on support of the Congress committees of those two states. But by 1963, the numerical strength of those two states had become inconsequential, as the party organisations in both states were faction ridden. Satraps from other regions were inevitably going to fill in the vacuum of leadership. They could not become kings themselves- that honour could only befall a person from UP or Bihar- but they collectively had the numerical strength to be king makers if they could take those two states along. Such were the circumstances under which the syndicate came into existence. The first challenge confronting the syndicate was to find a candidate who would be at once a political lightweight as well as a non-controversial candidate, as support from UP and Bihar party organisations would be indispensable. Fortunately for them, there was one man who ticked all boxes- Lal Bahadur Shastri. Shastri, who shared his birthday with his idol Mahatma Gandhi, had been involved with the Congress right since the 20s. After a four year stint as minister of police & transport for the government of Uttar Pradesh, Shastri was promoted to a cabinet role in Nehru’s government in the mid 50s. By the early 60s, he was one of the men closest to the prime minister. Although he was nominally a minister without portfolio in 1963, he had for all practical purposes become Nehru’s right hand man. Known for his decisiveness and energy, the dimunitive Shastri was important enough to enjoy wide acceptability within the party but not powerful enough to pose a threat to the would-be kingmakers. In him, the syndicate had the perfect man to checkmate Morarji Desai. Having decided the heir to the prime ministerial throne, the syndicate manoeuvred behind the scenes to garner support from UP and Bihar. The gunpowder was dry. All eyes were now on a dying Nehru. After a prolonged struggle against ill health, Jawaharlal Nehru breathed his last on 27th May 1964. Minister for home affairs Gulzarilal Nanda was sworn in as the acting prime minister. Everyone knew that he was only there as a caretaker until the battle for succession reached its conclusion. The wily Kamaraj was known to keep his cards close to his chest at all times. It used to be said of him that his standard response to any question was paarkalaam, Tamil for “let’s see”. True to style, he spoke not a word about the succession in the days following Nehru’s death. The fact that he was the party president meant that there was no public discussion of the topic. Even as they maintained a studious silence in public, Kamaraj and co. were involved in hectic behind the doors negotiations with party organisations in other states. Within 48 hours, factions within UP and Bihar and the entire organisation in the other big 5 states: Maharashtra, West Bengal, Tamil Nadu, Andhra Pradesh and Mysore rallied behind the syndicate. On the night of 1st June 1964, Morarji Desai had an in camera meeting with party president K. Kamaraj. What was discussed during that meeting is anybody’s guess. What is known beyond doubt is that after the meeting, Desai declared to the press that Lal Bahadur Shastri was unanimously chosen as the new prime minister. And so on 9th June 1964, Shastri took the oath as the second prime minister of the Republic of India. Lal Bahadur Shastri would prove a more than adequate replacement for Nehru, deftly handling a succession of crisis over the course of 1965. Despite his short reign, he remains to this day one of the most respected prime ministers in the history of independent India.